Cakes hold a very special place in my heart and in my kitchen, like most young Parsi girls who start off their tryst with the culinary world by baking a cake, I was no different, however as time passed, this teenage fascination only grew, experimenting with flavours, textures, flours and cleaner ingredients makes me immensely satisfied and when asked why I don't laze around on the weekends, I ask back, Why should I when there is a whole pot of undiscovered delights, swimming around in my brain. Today's recipe is not mine, just my version of a recipe long forgotten and erased from Parsi memory with the winds of time. Kumas, a tea time cake once fondly devoured by community folks, now draws looks of wonder, if mentioned to the present crop. 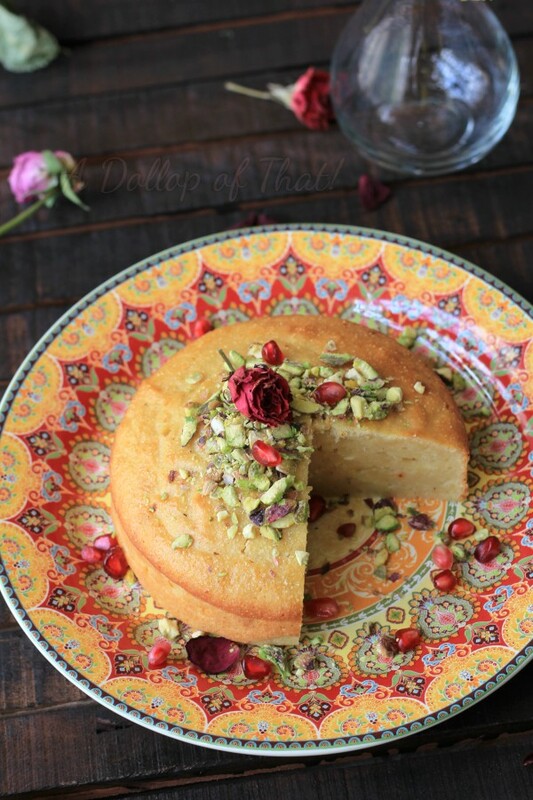 A sublime amalgamation of Indian (coastal) and Persian influences, this dense cake was made with a combination of semolina and whole wheat flours, with a good slug of fermented toddy (you can read about it in this post), delicately flavoured with Persian favourites like rose water, saffron and cardamom and nutmeg powders and topped with a generous helping of almonds and pistachio nuts. Toddy however is difficult to source these days as a majority of the Parsi folk don't live in the coastal villages of Gujarat any longer (where toddy palm trees are found in abundance). 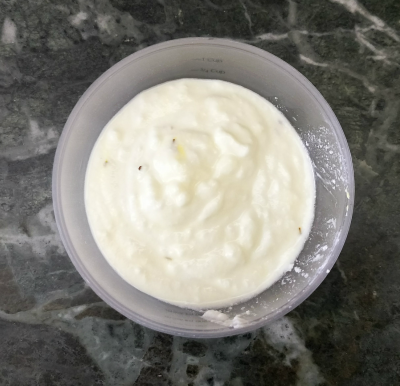 Sour yogurt is used as a substitute as it lends the perfect amount of tang, that one would expect out of a traditionally made Kumas. 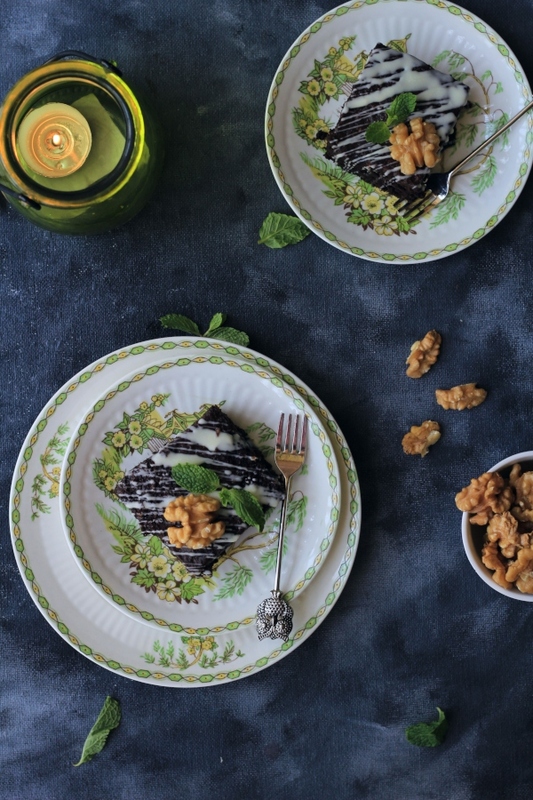 Intrigued?, then check out the recipe below. 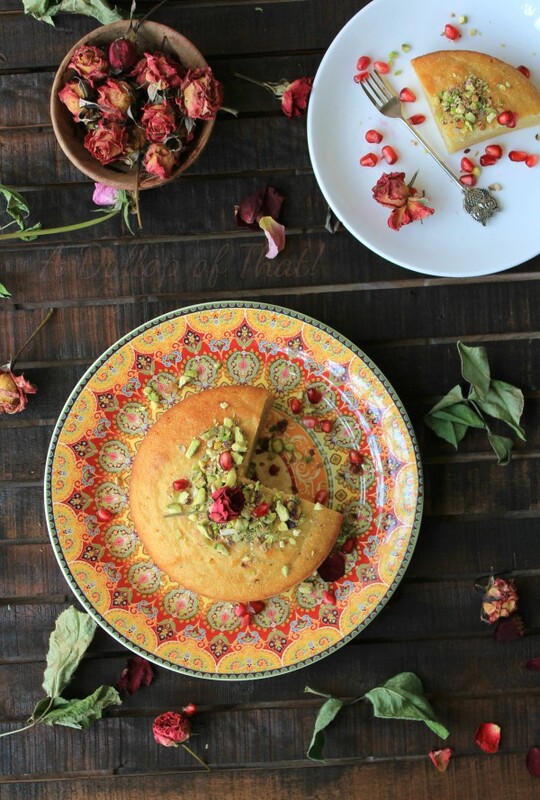 The next morning, take a bowl and whisk together the semolina and whole wheat flours along with cardamom powder and salt. 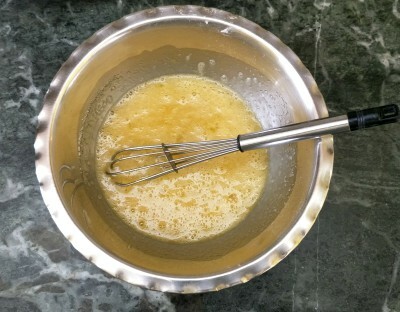 In another bowl whisk the clarified butter, jaggery or sugar and eggs. 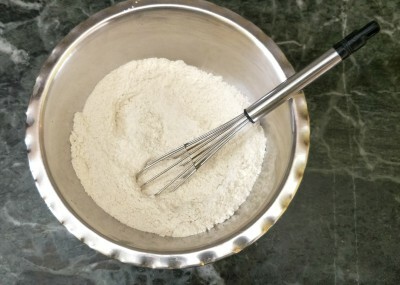 Now combine the all the wet ingredients with the dry ingredients to form a homogeneous cake batter. 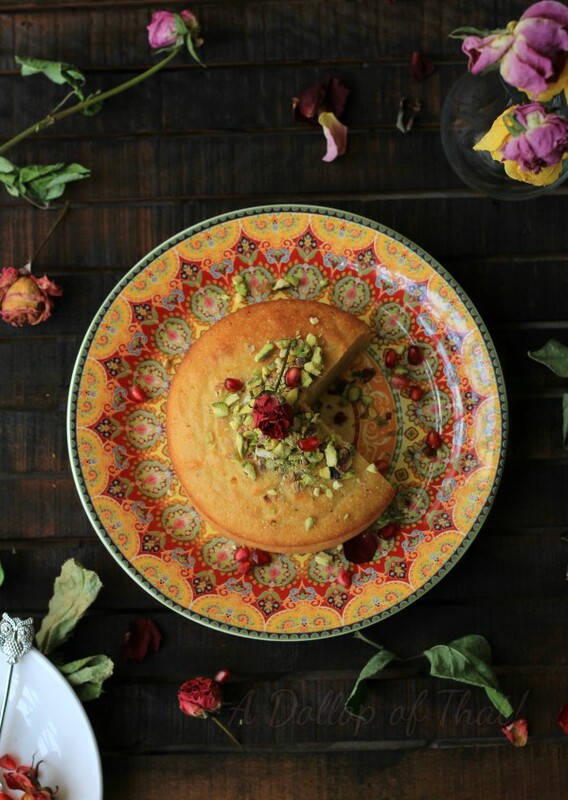 Pour into a prelined and greased cake tin, top with roughly chopped nuts and bake in a preheated oven at 180° Celcius for 25 to 30 minutes or till a toothpick or skewer inserted in the center of the cake comes out clean.